The internet is the fifth dimension, the third of the worlds in the third age. 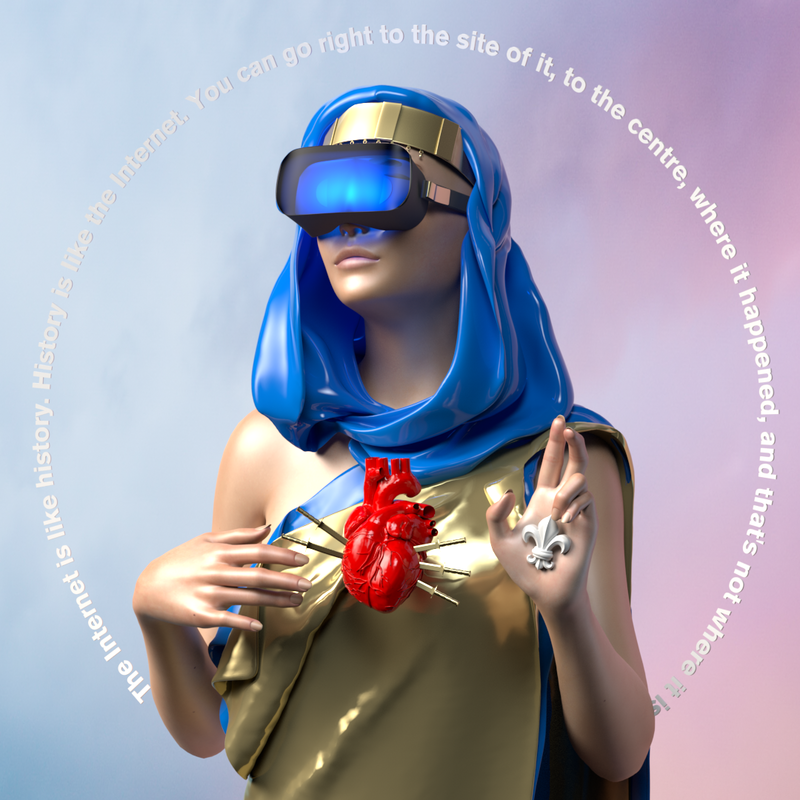 The Wrong – New Digital Art Biennale in the internetfame | fame and hype pavilion. The internet is the fifth dimension, the one of memory. The fifth dimension is the place, the space and the energy based on the awareness of one shared consciousness. In the fifth dimension time collapses. Time is instantaneous, past and present exist at the same time, in the same space. Man is his memory, the human species owes its memory its evolution and the consequent teachings. We delegate our memories to technology that preserves them in the same shared spaces with the ones of lots of other humans. World nr. 1 is material, the universe, the tangible reality. World nr. 2 is immaterial, the Id, ego and superego that regulate our interactions with reality, both interior and exterior. Most of all the oneiric world. World nr. 3 is the Internet, still suspended between the material and the immaterial. Also known as Digital Age or Information Age, the third in the western world after Gutenberg’s movable type and the electromagnetism. A change so radical, so profound that it separates itself completely from the previous era.